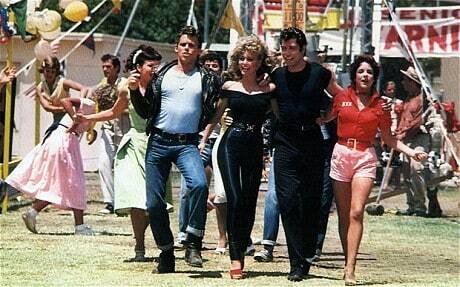 Grease is one of the most famous musicals which has been turned into a movie to ever be created. The play was one of the longest to ever run on Broadway (1971-1980) and even had several re-makes and re-releases. The movie meanwhile grossed over $389 million. 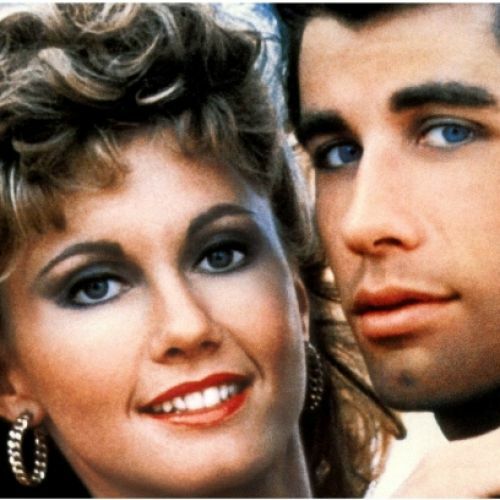 The reason that both the movie and the show had a lot to do not only with the stunningly beautiful actresses and sultry, attractive actors who played all of the parts (John Travolta and Olivia Newton? Yowza), but also because of the brave, out there social commentary of the story itself. 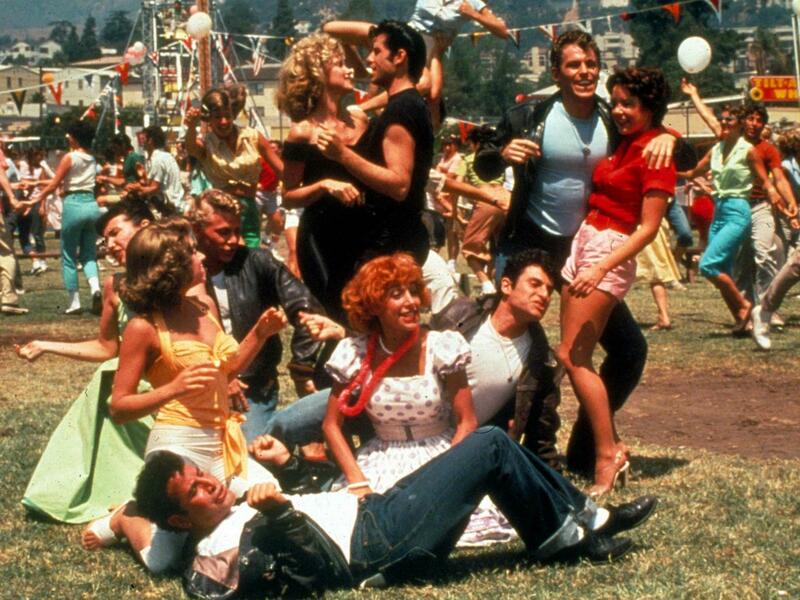 Grease itself is set in the gritty suburbs of Chicago back in the 1950s, and follows around a group of high school kids who were then affectionately known as Greasers, primarily kids of a working class background. 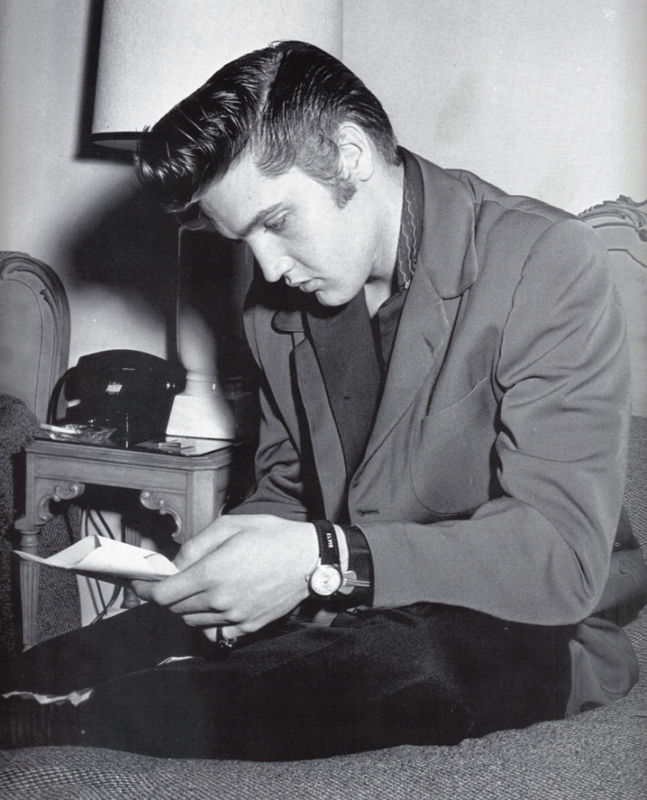 They were the ones who were big into the rockabilly and rock & roll genres of music. Grease itself deals with issues which were quite taboo subjects back in the 1970s and which still have a stigma attached to them to this very day. The characters discussed and dealt with issues such as teenage pregnancy, gang violence, teenage rebellion, and the clash of the economic classes in the United States. The hit musical film is known for many things including providing memorable nicknames. 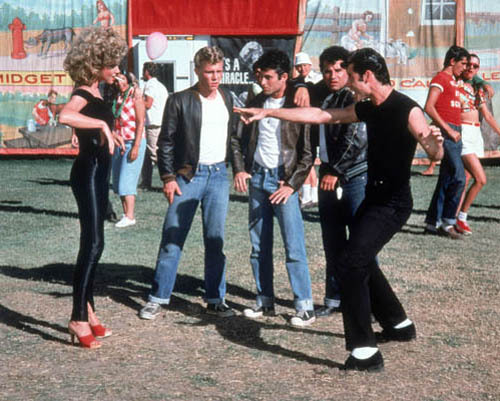 In fact, everybody had a name on the cast of Grease, and we mean everyone including the backup actors and the dancers. Maybe it was a way to make them feel a part of the core gang or maybe it was a production choice that we’ll never know for sure, but in any case they might not have been as famous as Frenchy or Doody, but still they had names. The famous scene where Frenchy is hiding her pink hair in a scarf, she starts to imagine a guardian angel that guides her with what she should do with her life. The role of Frenchy’s guardian angel in one of the scenes was originally offered to none other than the king of rock himself, however Presley turned down the offer and the part went to Frank avalon who sang “Beauty School Dropout”. We have a feeling it did’t hurt his career. Sure, Grease was a musical and therefore it was all about the singing and dancing at the end of the day, however when you ain’t got the moves there’s really nothing you can do. 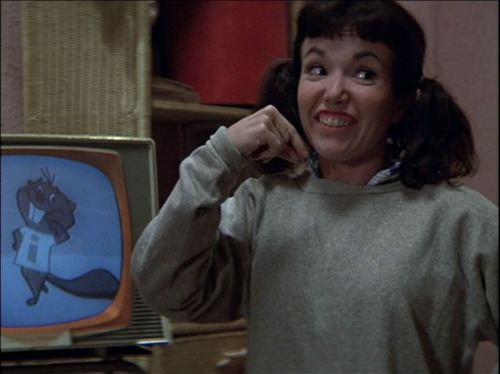 Marty, who was played by Dinah Manoff had zero coordination when it came to dancing and so she didn’t appear in any of the scenes that involved moving around or dancing. It was her many other talents that landed her the role of Marty, as we know it. When casting people for different roles, there are all kinds of things a director has to deal with. While all the cast were dying their hair for the roles they played, there was one actress in specific, Jamie Donnelly, who had her hair dyed brown over and over again as she was dealing with the unfortunate grey hairs. Donnelly, the Pink Lady, was 31 when she had to deal with those annoying white hairs. What’s nice about movies and creating them is that there is so much more than meets the eye especially when it comes to the behind the scenes. One thing can be portrayed in a certain way, but in reality it was entirely different. We’d like to think that the famous final scene “You’re the one that I want” was a big deal, however the fact is that it was the quickest scene that was shot throughout the film all in one afternoon. The big soft drink company, Coca-Cola were initially placing their adverts in order to get more attention through the film, however in the middle of shooting they decided to back out on the deal and so if you pay attention real closely you can spot their adverts being blurred out in the background. We have a pretty good feeling that the soft drink corporation was not hurt in terms of their income. As soon as the film was released, it became an overnight hit which made it one of the greatest and most popular films in history. In fact, out of all the films that were released that same year, it was the most profitable. The musical that was a box office phenomenon which ranked at number two, and it grossed almost $9 million in over 800 theaters in the US and Canada. Being a part of a huge production doesn’t necessarily mean that all that glitters is gold, and things can go wrong from time to time as there are some things that crew cannot control. 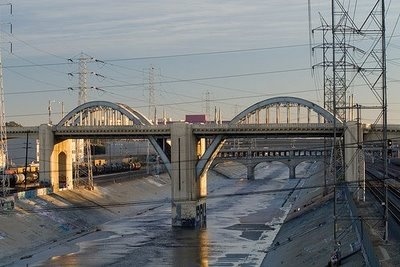 In the Thunder Road scene where after the drag-race, the water that wad on the ground was so filthy and in fact dangerous that when it was splashed on the cast members who were standing there it made them sick for days. 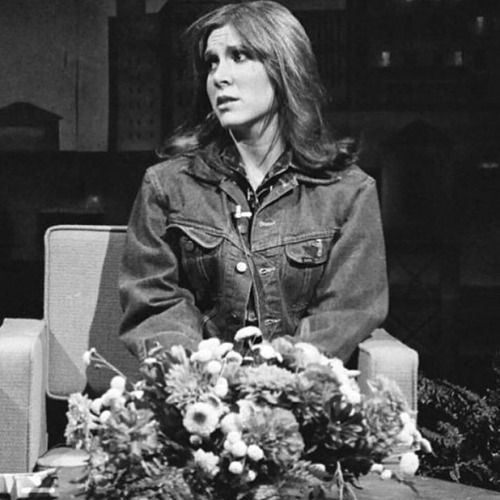 The film could have been entirely different if Carrie Fisher, The Star Wars star, who was offered the desired role of Sandy, would have landed the part. At the end of the day the legendary role went to Olivia Newton-John, who was more suitable for the part according to the directors. Things just have a way to work out the way that they do and we’re happy that the blond bombshell was our beloved Sandy at the end of the day. Who said that just because you’re a star you cannot adore another fellow actor? Sometimes the stars themselves are fans just like anyone else and that was the case with the two lead actors. When John Travolta met Olivia Newton-John at her house prior to filming, he was so excited to find out she was his co-star in he successful hit. Maybe that made their connection even more believable. 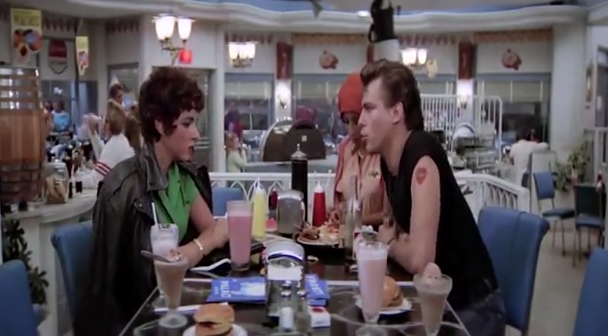 Can you imagine Grease was almost made into a cartoon instead of a real live action film? Thankfully it was decided last minute to make it into a live feature the way that it was, and love so much, although we have to admit that it would have been quite amusing to see the cartoon version of Sandy and Danny and the rest of the gang. Annette Charles, who played the famous Charlene Cha Cha DiGregorio was filming the drag racing scene the same day she was having surgery. Unfortunately she suffered from ectopic pregnancy and experienced horrible pain as a result of tubular pregnancy and had to go through an emergency surgery. She did however managed to finish the scene before she was rushed to the hospital. Although they were all playing the roles of high school kids, the fact was that none of the cast members were actually teens when the shooting of the film was happening. 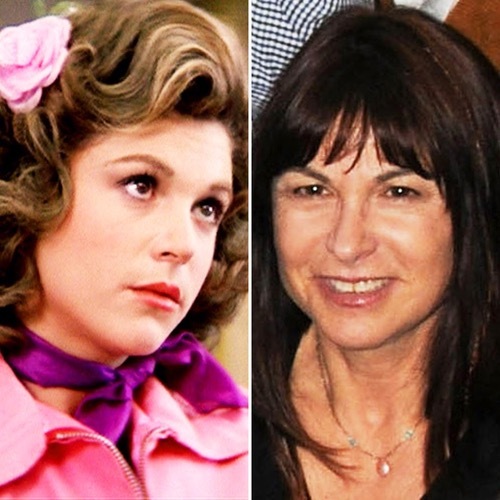 Olivia Newton John, also known as, Sandy was 28 years old in real life while Stockard Channing, the famous Pink Lady named Rizzo was 33. Now that’s quite unbelievable. 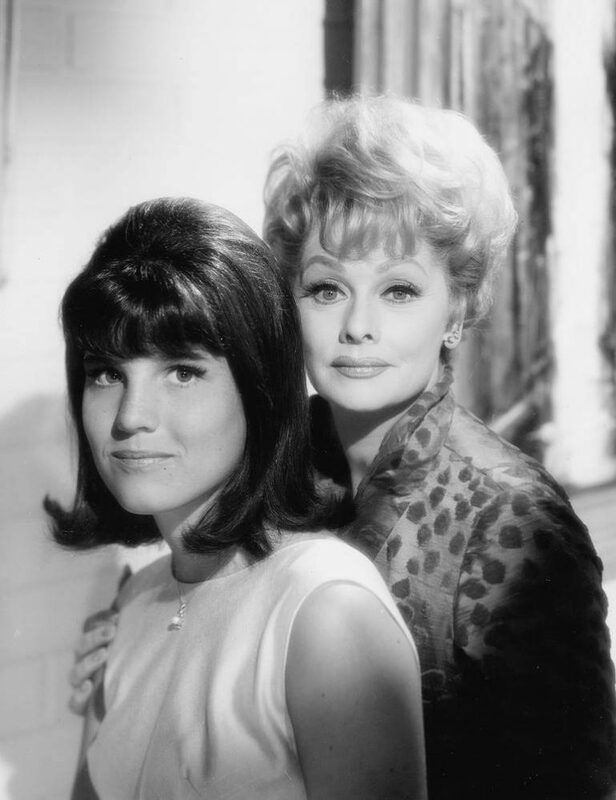 The role of Rizzo was originally intended for Lucille Ball’s daughter, Lucie Arnaz. 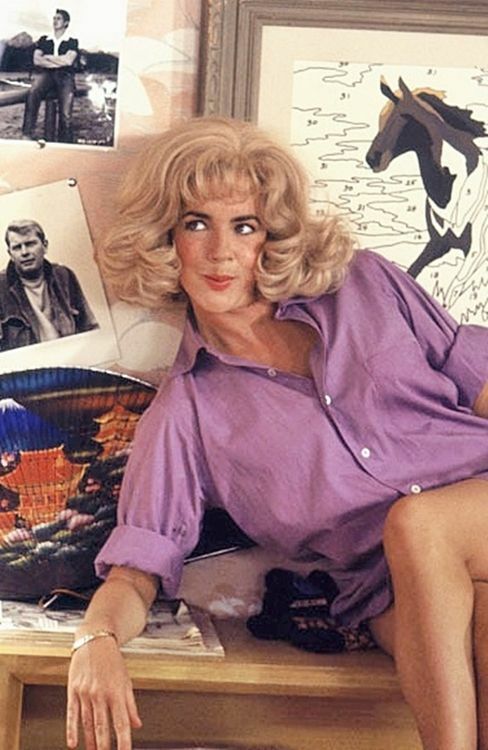 However, after Lucille made her daughter dismiss the prestigious opportunity after she apparently called the producers to tell them that her daughter was way to good to even audition for the role, the part ultimately went to Stockard Channing. We wonder if they ever regretted missing it out. Strangely enough, Olivia Newton John suffered from a stage fright, which is quite puzzling on its own as she had to perform in front of people all the time. Due to her anxiety and fears, the last famous scene almost didn’t happen until her co-star, Travolta, who didn’t seem to have any stage problems, came to her rescue and convinced her to do it. What a hero! What may seem as totally normative today, might not have been that way in the past. 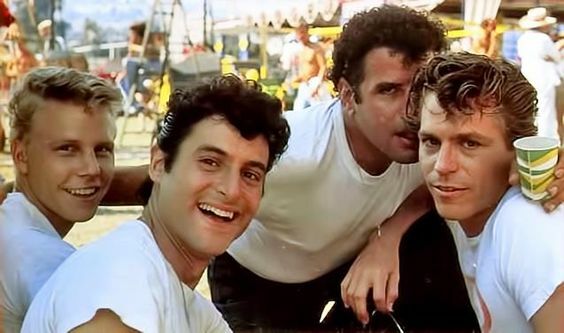 For example, when Kenickie prepares to drive at Thunder Road and asks Danny f he would be his second at the race, the two hug it out and then immediately back off, was because Jeff Conaway who played Kenickie didn’t believe that true males hug each other in the 50’s. 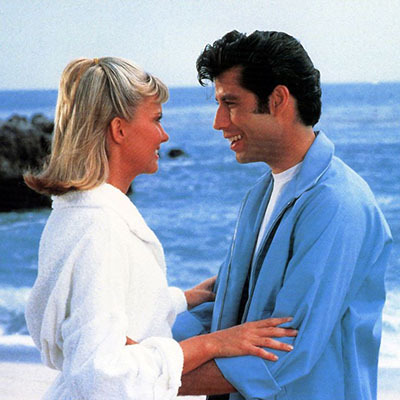 If you thought that the light blue windbreaker that Danny is wearing in the beginning of the film when he’s with Sandy at the beach is just a random fashion choice of the costume designer, well then it wasn’t. The blue jacket was done as a tribute to James Dean, who starred in the 1955 movie , Rebel Without a Cause where the good looking actor was starring with his famous jacket. We already know that the cast of the hit movie was older than the characters they were playing, but we didn’t think it was a big issue. 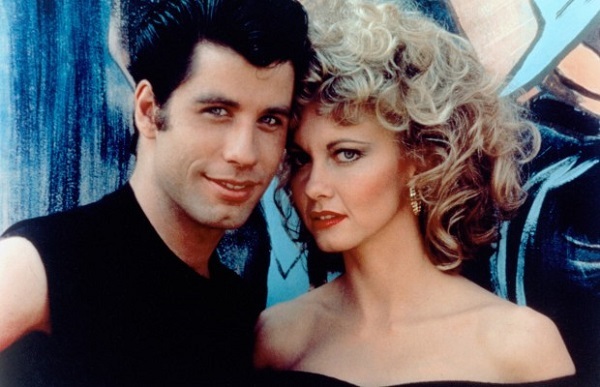 When Olivia Newton-John was offered the role of the all so precious Sandy, she initially turned it down saying she was looking too old to play the part of a high school chick. Thankfully, after her screen test proved she was perfect for the role, she decided to grab it with both hands! There’s almost nothing sweeter than making a movie reference in another movie, it’s almost like an unspoken Hollywood tribute that directors have for one another. The gang that played the famous trio, Sonny, Putzie and Doody, wanted to honor the Three Stooges and so they asked the producers to pay a small tribute prior to the bonfire scene. The art and work that goes on inside the editing room is on one hand magical and on the other hand can be a real mystery. 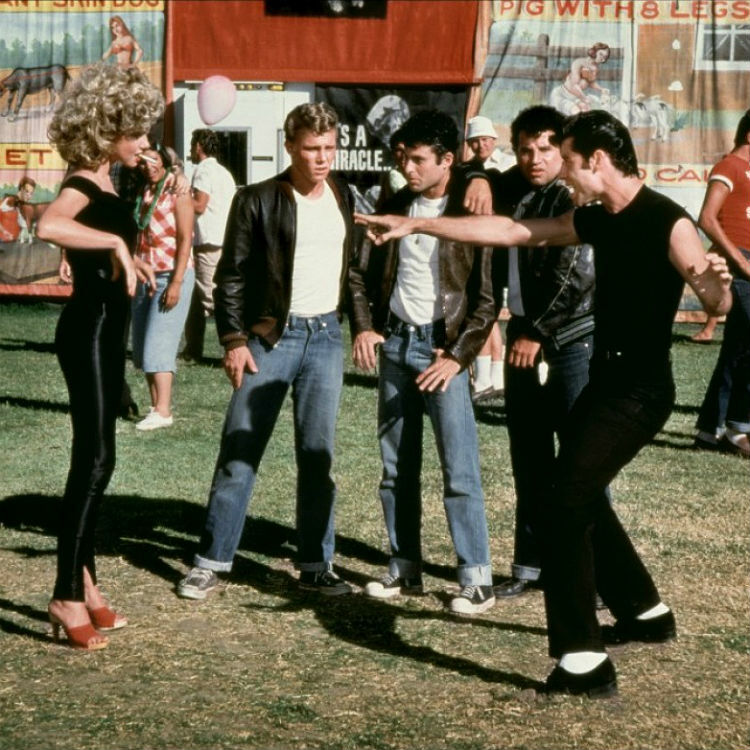 Some footage from the sensational film will always remain a mystery, for example in the scene where Kenickie and Rizzo were fighting, the audience will never know what they were fighting over because the scene was cut out as it was too violent in the director’s eyes. Harry Reems, the notorious star who was famous for his pornographic and adult film acting throughout the seventies and eighties, was cast originally as Coach Calhoun. However due to his bad reputation, the producers decided to give the role to Sid Caesar instead and not jeopardize the success of the film with critics. We guess the producer’s hunch was a right one as the film turned out a big success. 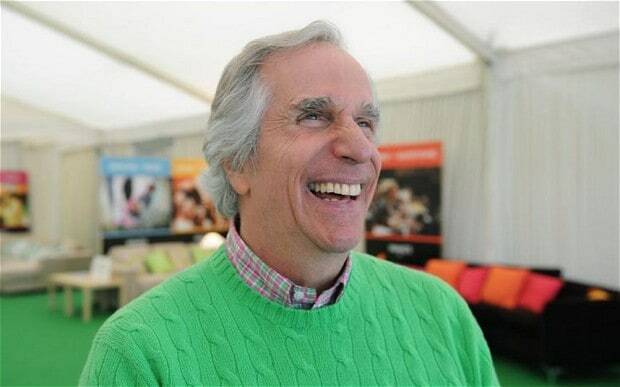 The role of the famous and loved Danny Zuko was almost given to Henry Winkler, also known as Fonzie or The Fonz from Happy Days. The sitcom, Happy Days was undoubtedly one of the most successful shows during the seventies after it first aired in 1974. Eventually it was John Travolta who got the part, and we believe the fans couldn’t be happier with that choice, both Fonzie and Danny’s fans. If Jeff Conaway had a chance to fast forward his life we’re pretty sure he would have done a few things differently. While filming a scene, Jeff Conaway, who played Kenickie was seriously injured, so seriously that his back was damaged. This injury had some long term implications as he became seriously addicted to drugs due to the prescription he received. The troubled actor died in 2011 after he was found unconscious. 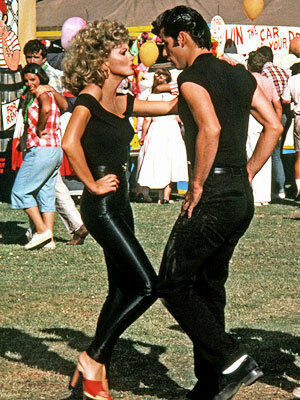 There’s no doubt the if anyone takes a look at a picture of Sandy in her black suit, they would immediately connect her to Grease, which proves it was a very good choice of attire on the costume designer’s part. What we also know as an audience is how amazing Olivia Newton-John looked in her tight black suit, but what we don’t know is that it was so tight that the poor actress was repeatedly stitched and cut out to the suit for a week. Olivia Newton John is an Australian actress and singer and it was actually her origin and different accent that helped her land the role of her life time. Her very Aussie name on the film was supposed to be Sandra Dumbrowski. We are not quite sure how the writers came up with that one, but the producers realized it wouldn’t be so believable due to the actress’s Australian accent and so it was condensed to just Dee. John Travolta was known for his charm, great dancing moves and apparently his persuasion abilities. 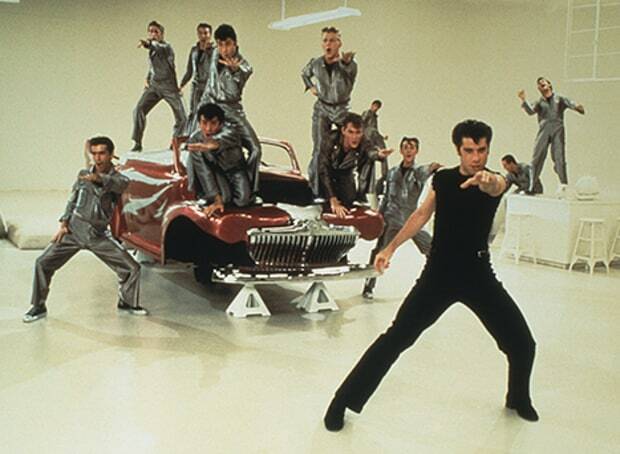 The famous and very unforgettable number, Greased Lightning, that was led and starred by Travolta’s character, was almost given to his fellow star, Kenickie. However, the decision was changed when Travolta convinced the producers to keep it for him. The man sure knows what he wants and to make it happen. Nothing will stop these two from keeping it real! 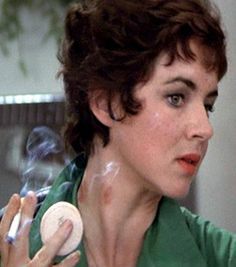 Rizzo’s hickeys on her neck were not done by a good makeup artists,. Nope, in fact they were actually given to her by her co star, Jeff Conaway who played Kenickie! We’re guessing the two had some real good chemistry, otherwise we would find it hard to believe that Stockard Channing would allow it to happen. After all who would want to walk around with a hickey sign on their neck. Now that’s real commitment!